Connecting with spiritual light and your higher self is one of the most beneficial actions you can take at this time. 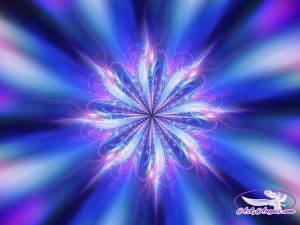 I am happy to offer you a free channeled message with the angelic guide Orion to help you with just this. This channeled message has been mixed with an audio meditation track from Thaddeus to offer you a calming and relaxing guided meditation that will help you connect with the ascension energies that Orion shares in this message. There are many changes now which are creating new beginnings for us all! Embracing change and allowing your life to transform is key, right now. Resisting or fighting any evolutionary processes is futile. Change is happening and I'm happy to be able to be here to help support you through this process. I invite you to join me now in taking a deep breath and fully entering into the present moment. I ask that we each be surrounded with 100 thousand angels, with white light, and that each of our highest and most loving guides of the light and our angels surround us and assist us in opening the heart and beginning to lift in these energies of love. I ask that the highest, most loving channeling guide please enter in and connect with me now. Welcome, I am here. Indeed, it is I, Orion. And yes, by consciously quieting your mind now and opening your heart, you can instantly tune in to the incredible amount of love, energy and light frequency that is all around you; indeed, flooding your planet, pouring in to your proximity. In this moment light and love are all around you. And by simply choosing to turn away from mind, from thought, from doubt and opening your heart, and looking within, you begin to lift. You are supported in this process as your vibration is raised, cleansed, and purified now. Notice above your head a golden orb of light and know that this is my energy. And as this light begins to lower down now, entering into your energetic and even physical body, a great cleanse is happening. Breathe and feel lighter, feel lifted as past limitations, perceived challenges and any and all negative emotions, thoughts or beliefs are lifted, released into the light and replaced with feelings of peace and love, compassion, happiness and joy. Dear one, you are living, yes, in a great transition, and this is no easy path that you have chosen to walk. However, here you are in the now, amidst what is often a turbulent and challenging realm of duality, of experiencing both positive and negative vibrations and emotions. You have chosen this and are having this experience in order to leave it behind and rise above. You have the opportunity now to be transformed, to lift and to open to a paradigm, to a way of being that is not black and white, good and bad, right or wrong, but is rather connected, aware of oneness, of your conscious connection with everything, with everyone and everywhere. You see, nothing outside of you is apart from you. You are connected. And this is your step now, realizing this unity and embracing it, embracing all people as your brothers and sisters. Choosing love, of course, in every moment, in every situation, choosing to consciously look within and open your heart every day. And then choose to keep your heart open despite the challenges or experiences, blessings, regardless of what may come, keeping your heart open, not giving in to judgments, to thoughts of scarcity or lack or doubt. But releasing those as they come up, remaining connected to your authentic self, the higher spiritual divine being that you are, that you were before you were born and that you will return to being once more. You see, your higher self, the spiritual you, does not actively participate in duality and, therefore, does not experience the suffering or grief or guilt that you sometimes allow into your physical experience. But know that with this shift, you have the opportunity to leave behind what no longer serves you, to leave behind your worries, insecurities, releasing them now, letting go; your angels taking them, dissolving them into the light. And beloved, now allow a new flow of creative light into your life to keep you aligned with the highest good, with your ultimate purpose. Know that you are so deeply loved, you are a divine being and you are one, you are a part of all that is. Stay connected, remain open and know that from this open heart, expanded consciousness, anything is possible for you with your intention, your belief and your allowing. You’re so deeply loved. I am Orion, and I leave you now with my blessing, with the reminder that your guides and angels are always with you. Tune in to love, to divine guidance, and to the energy of oneness. Through this, challenges are lifted, obstacles removed, manifesting the true purpose of your higher possible self.